One of our historical scenario mats. 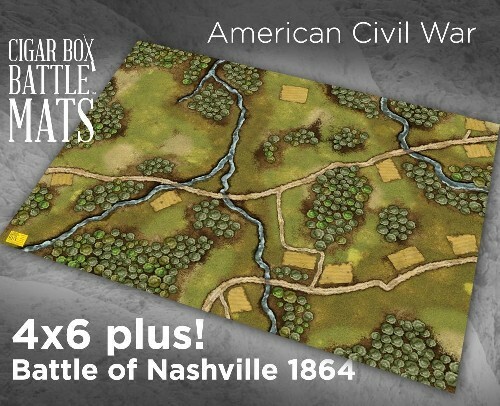 This mat represents the terrain on the Confederate left flank of the ACW battle of Nashville on the first day's fighting. Suitable for any grand tactical set of ACW rules. This terrain would be well suited for other periods as well, including: FIW, 1812, AWI, etc.